Now for some good news. It looks like it's almost Christmas and the phones on your bucket list are suddenly appearing in Smart catalogs. 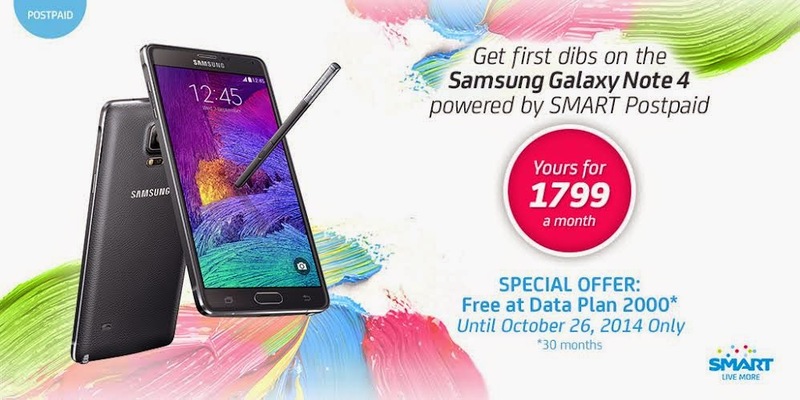 This can be yours for every Php 1799 a month and they've got a special offer running til October 26th which can get you this handset for FREE at Data Plan 2000 (with 30 Month Lock in period) but you have to sign up before that date when you avail them in all Smart Stores or just the Online Store! If you want to get the latest handsets and get the nicest deals, I think you know where to go right? There's a reason why Smart is the BIGGEST network. They're giving you even more reasons to get the latest models as soon as they arrive in the Philippines. Trust me, I've switched! 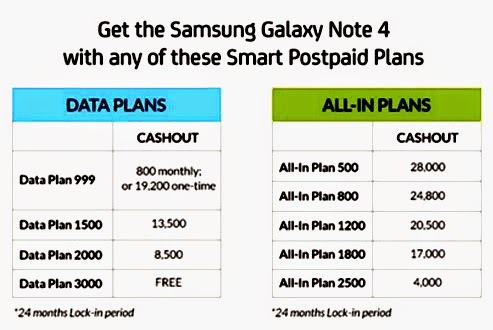 If you want to know more about Samsung Galaxy Note 4 packages, please visit http://smrt.ph/postpaidnote4.